Founded in 1977 and fully renovated in 2006, the Jewish Museum is the focal point of Rhodes’ Old Jewish quarter, devoted to preserving and sustaining the history of the Jewish population of Rhodes. Spanning the incredible 2,300-year history of Jewish Rhodes, the museum features a large permanent collection of photos, books, personal effects and Ketubbah (19th century marriage certificates), which bring to life the rich Jewish culture that once populated this pocket of the island. The museum occupies two rooms of the exquisite 16th century Kahal Shalom Synagogue, Greece’s oldest synagogue, which has been in use since 1577. 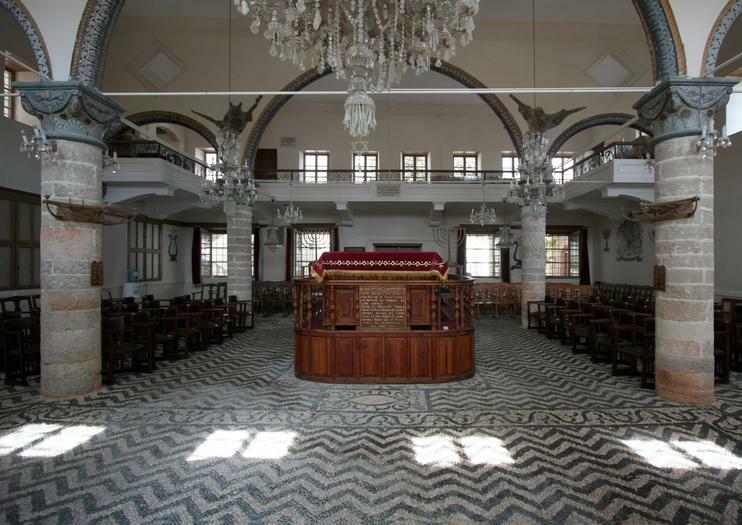 Although still used as a place of worship, the Jewish population of Rhodes - which amassed more than 45,000 pre-Word War II - has depleted and today, only a small community remains. Their legacy, however, is kept alive in the museum and the synagogue’s commemorative plaque, which pays tribute to the former Jewish inhabitants deported to concentration camps when the island fell under Nazi occupation.